The King’s Speech tells the story of how King George VI of England (Colin Firth) learns to live with a speech impediment. As father of the current Queen of England he unexpectedly becomes King after his brother, King Edward VIII (played by Guy Pearce) abdicates the throne to marry to marry divorcee Mrs Wallis Simpson in December 1936. The British government feared a constitutional crisis surrounding a British monarch (King Edward VIII) marrying an American socialite divorcee - Adolf Hitler was amassing troops in central Europe ahead of a very probable WW2 and it was thought this scandal would be too much for the country and as such, pressured the Palace for Edward to step down. 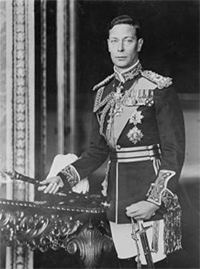 King George VI was never expected to be King as Prince Harry would not today. The film opens with Prince Albert (later King George VI) in 1925 attempting to make a speech at the British Empire Exhibition in Wembley Stadium but painfully struggling, and failing because of a chronic speech impediment – a stammer. His wife, Queen Elizabeth, The Queen Mother (played by Helen Bonham-Carter) persuades him to see an Australian Speech Therapist in London, Lionel Logue (played by Geoffrey Rush) who has a reputation for using unusual techniques to help his patients. Prince Albert does not get on initially with Logue as he insists on breaking royal protocol by calling Prince Albert by his family name, ‘Bertie’. After several sessions where the Prince feels he is not making progress storms out, but not before Logue gives him a gramophone record recording of what Bertie believes is a failed attempt by him to recite Shakespeare.